The best gaming mouse is once again available at a fantastic price. The Razer DeathAdder Elite, our favorite gaming mouse, is at a great price for both US and UK readers today. On Amazon US the Elite is $40, while on Amazon UK it's £42. For US readers, this matches its best ever price from Black Friday. For UK readers, it's within £2 of the best ever price it's been listed for on Amazon. We've waxed lyrical about the Razer DeathAdder Elite countless times. Our expert on the subject of mice, Wes Fenlon, had this to say about it. "For the majority of games and gamers, the DeathAdder Elite is the best gaming mouse. 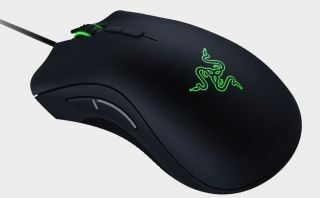 It’s simple where it should be, with two perfectly placed, generously sized thumb buttons, has a great optical mouse sensor that will work on both hard and cloth pads, and has the ultimate body shape for a claw or hybrid claw/palm grip."